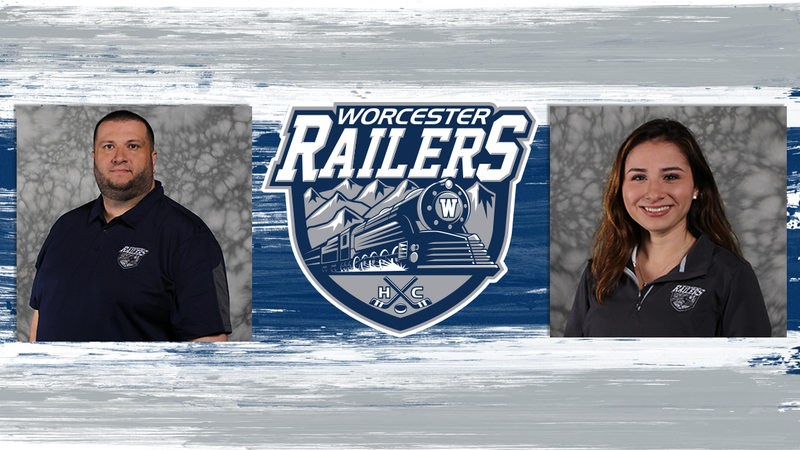 WORCESTER, MA – The Worcester Railers Hockey Club (@RailersHC), proud ECHL (@ECHL) affiliate of the New York Islanders (@NYIslanders), and Railers HC Team President Michael G. Myers (@Myzie35) officially announced today that the club has promoted Michael Fisher to Vice President of Ticket Sales and HC Memberships. In addition, Jacqueline Avola has been added to the front office full-time as the Corporate Fulfilment Coordinator, and David Salter was named Chief Scout for Canada’s Atlantic provinces. Michael Fisher was named Vice President of Ticket Sales and HC Memberships after his prominent role in establishing the return of hockey to Worcester. The promotion comes as a nod to his diligent effort to put together a hard-working ticket staff, which went on to successfully launch the inaugural season of the Railers with over 1,600 hockey club memberships and a sell-out crowd of 12,135 on opening night. Fisher joined the Railers for his 10th season of hockey in May of 2016. Prior to joining the Railers, Fisher worked with the Arizona Sundogs (CHL), Missouri Mavericks (ECHL), and the Evansville Icemen (ECHL). Mike and his wife Tiffany have two sons, Mason and Jax. Fisher is a native of New Jersey, grew up in Trumbull, CT, and graduated from Colorado State University. In addition, Jacqueline Avola, a former Railers intern and part-time staff member, is now working full-time for the club as the Corporate Fulfilment Coordinator. She graduated from Assumption College last spring with a Bachelor of Arts in Organizational Communication and minors in Sports Management and French. On the hockey operations side, David Salter has been named Chief Scout of Canada’s Atlantic provinces. Salter most recently served as the Director of Communications for the St. John’s IceCaps of the AHL for five years. Prior to working for the IceCaps, Salter worked as sports reporter for numerous publications including The Hockey News. The Worcester Railers HC 2018-19 home opener at the DCU Center is Saturday, October 20 vs. the Maine Mariners. The only way to secure your spot to opening night is by purchasing a season membership, flex package or a group outing by contacting the Railers HC front office at 508-365-1750 or by visiting www.RailersHC.com.